While it’s perfectly feasible to connect the Raspberry Pi board to a breadboard it can become relatively messy if your projects needs many I/Os due the wire and extra components like resistors, so “Robot In A Can” designed a circuit trainer for the University of Guelph students to wire projects with the Raspberry Pi’s (26-pin) header in a neater way, and made it durable to to endure years of use in a lab setting. The developer has now started selling the hardware, and called it EveLab 1.0. 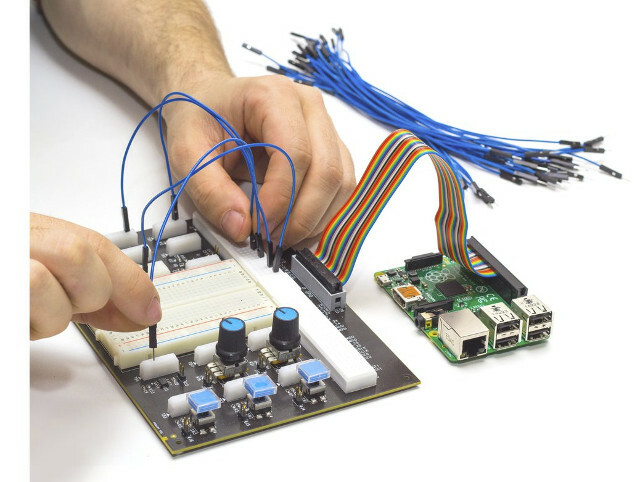 The board also comes with 2 GPIO ribbon cables to connect to various Pi models, and 20 Jumper cables. The target board does not even need to be a Raspberry Pi, as any board with a RPi compatible header can be connected to EveLab 1.0. 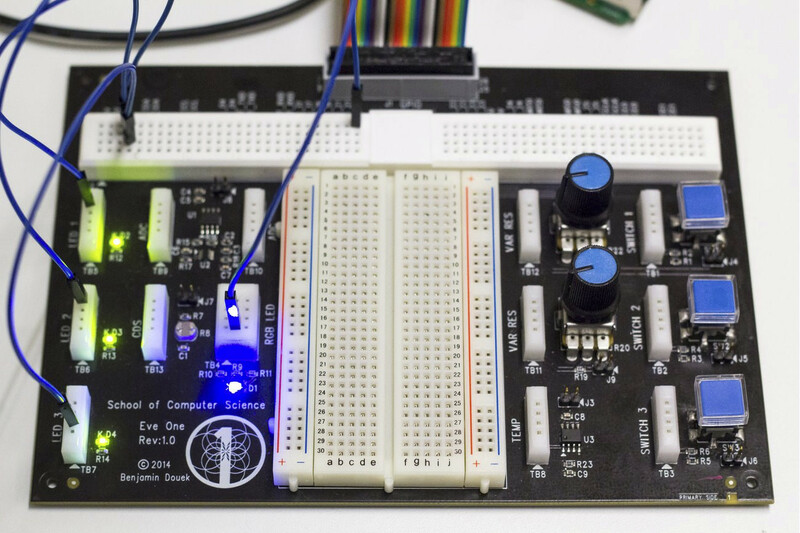 You’ll find this “advanced breadboard” for Raspberry Pi on Tindie for $49.99 plus shipping.